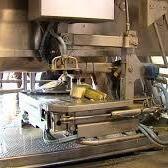 Are robots the future of milking? On this weeks episode of The Dairy Edge podcast we speak to Caroline O’Sullivan, manager of the robotic unit at Teagasc Moorepark and Caroline gives an insight into how robotic milking systems work including the number of milkings robots are capable of per day, the ideal number of cows per robot and what her work looks like from day to day. Caroline emphasises the importance of grassland management in robotic systems, aiding the movement of cows from the paddock to the robot throughout day and night. Finally Caroline explains the current feeding and milk production of the dairy cows, where cows are producing 2.1 kg milk solids from a predominately grazed grass diet.